Rebel rebel, you’ve torn your dress. Rebel rebel, your face is a mess. Rebel rebel, how could they know? Hot tramp I love you so! This is what comes to mind when I hear the word “rebel,” if you don’t know what I’m talking about, you need to download this classic by David Bowie ASAP! 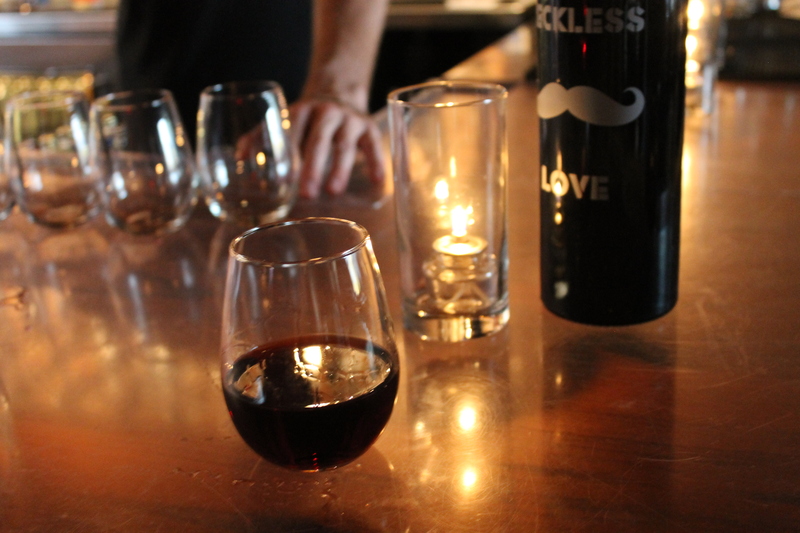 Anyway, I couldn’t stop humming this tune when I was invited to the Rebel Coast Winery launch party at Bodega Wine Bar in Santa Monica last week. Free wine and pizza? No food pervert in their right mind would say no to that! This launch party was on! 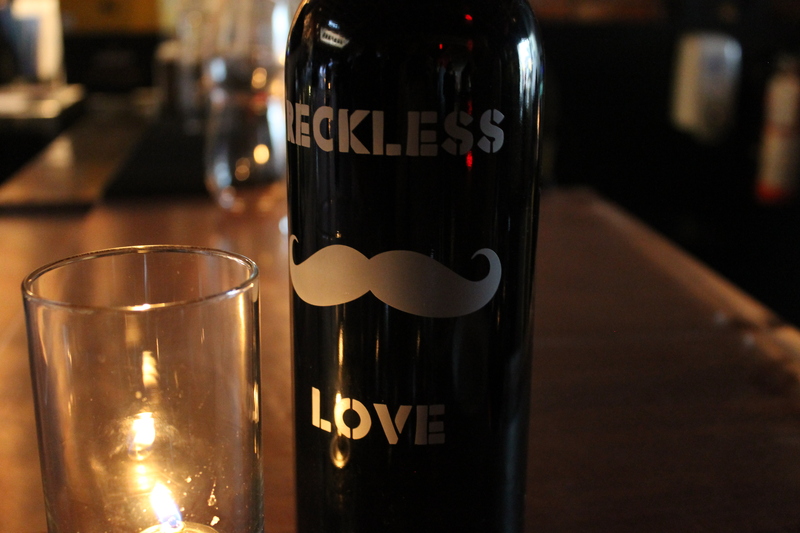 Glasses of the featured bottle, Reckless Love, steadily lined the bar… available to everyone at a never ending flow. It’s a pretty good name for red wine! It’s half Napa Oakville Cabernet and half Paso Robles Syrah. Honestly, I lean more towards white wines, but for a cab/syrah hybrid I didn’t mind throwing a few of these babies down my throat. As you can see, the Rebel creators, Chip Forsythe and his brother AJ Forsythe, decided to take advantage of the current “mustache” trend and use the image as their star marketing tool. They were even able to get Lyft, the new cab-like driving service known for sporting hot-pink mustaches on the grills of their cars, to sponsor the party. Chip himself has grown a very substantial ‘stache. I’m personally not waving my hands up and down on the “mustache” bandwagon, but if it’s going to sell your product more power to you! After drinking who knows how many partial glasses, thank God there was plenty of pizza to eat…until there wasn’t and I ate other people’s pizza not knowing it was actually theirs and not for the party. No wonder that woman was looking at me like a crazy person when I told her I just needed a few more photos of the delicious margherita sitting in front of her. It was her pizza and she wanted to eat it…my bad. 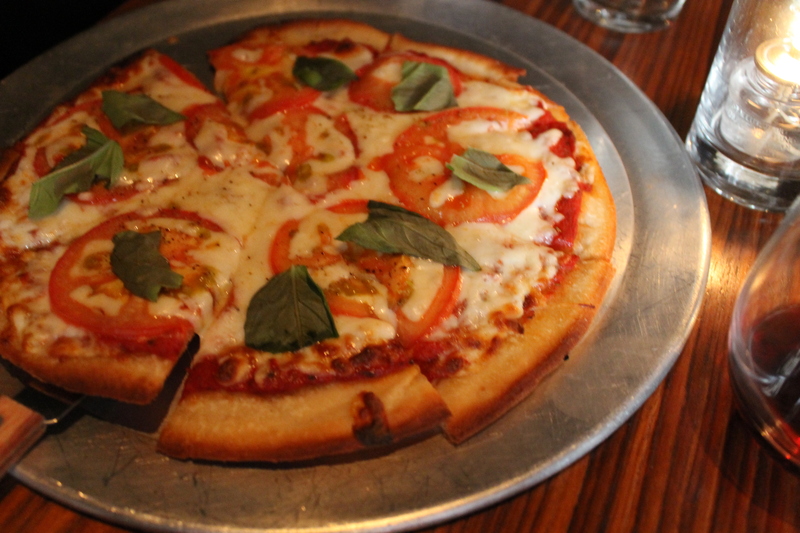 The pizza from Bodega Wine Bar‘s kitchen impressed me. The crust was light and crispy and the mozzarella was clearly top-grade. Good work guys, your food didn’t make me cry! ← It’s time to Dine, LA! Sounds like a thrilling evening, especially for mustache lovers! !